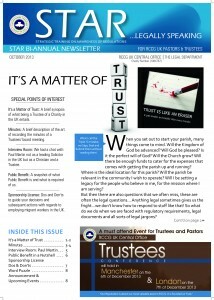 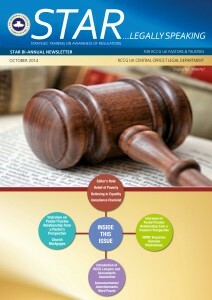 The STAR (Strategic Training on Awareness of Regulations) Newsletter is the print outlet from the Central Office’s STAR resource suite. 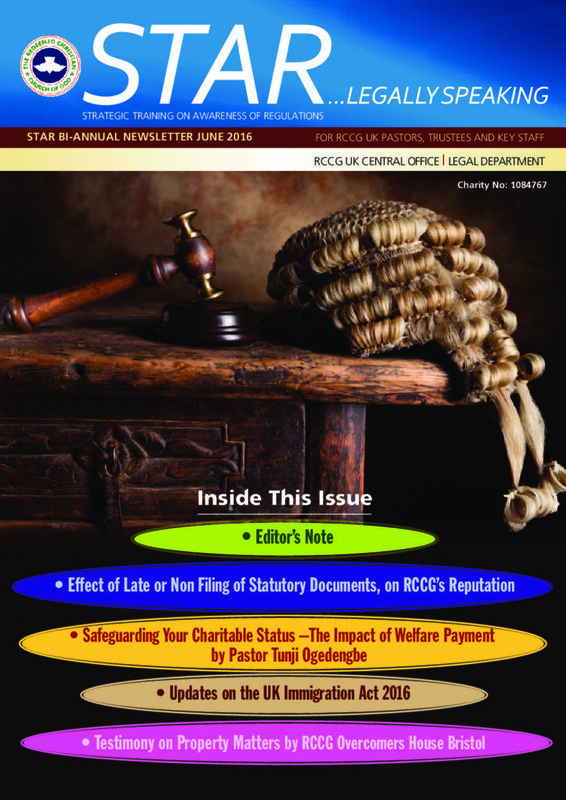 It is a charity governance and compliance legal resource for all RCCG UK stakeholders and would also be beneficial to Faith Based Charities across the UK. 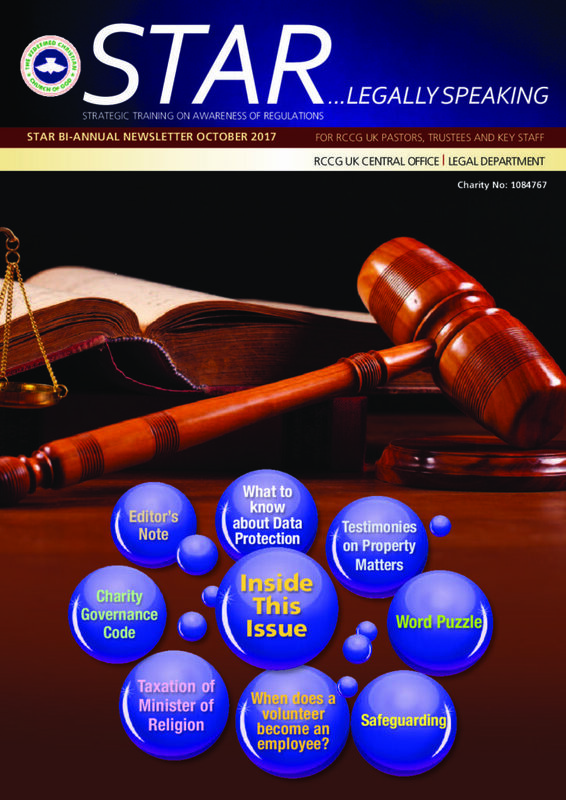 The content includes updates of how charities can remain compliant with the various UK regulations, including meeting the statutory public benefit requirement. 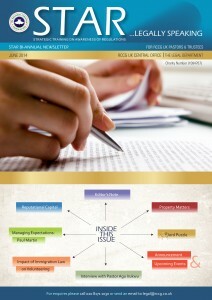 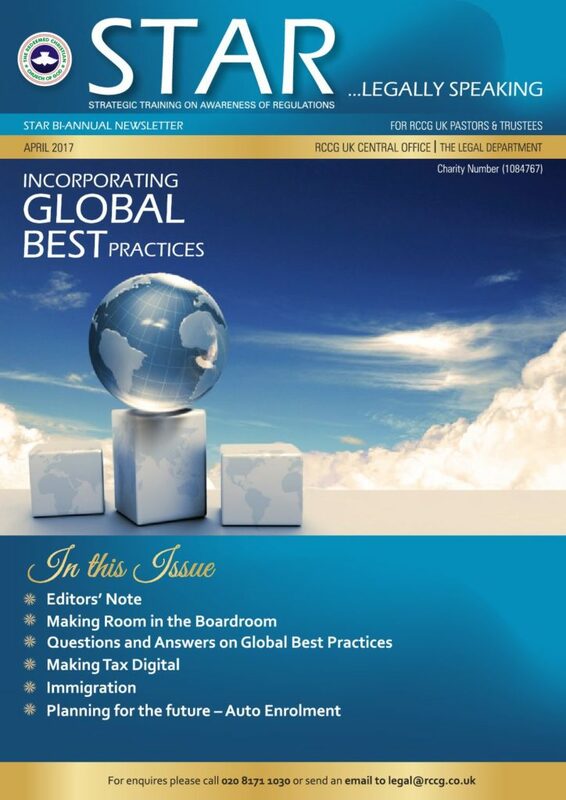 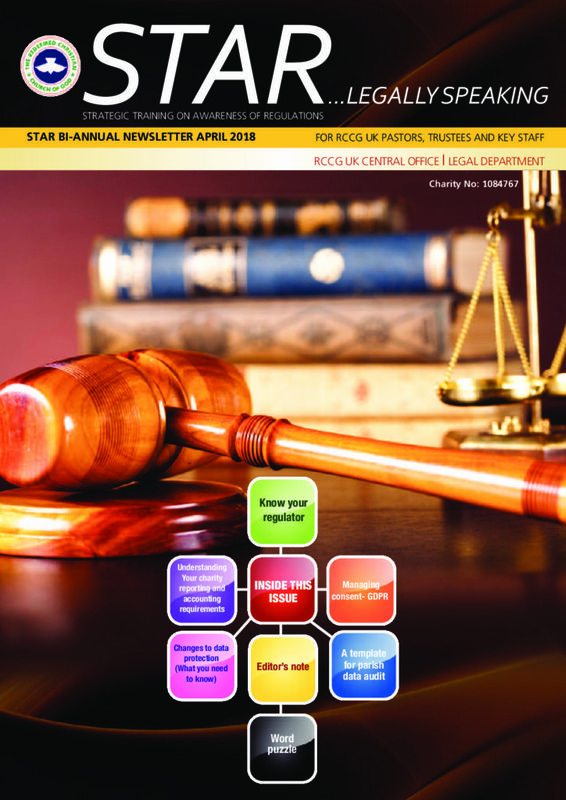 STAR Newsletter provides pointers on how to minimise or eliminate risks whether reputational, financial, regulatory, and/or personal risks etc. 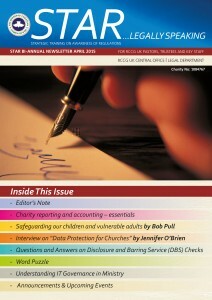 The publication serves as a useful compliance guide for Pastors, Trustees and Charity Administrators or Key Staff.